WHERE ARE YOU LOCATED AND HOW CAN I JOIN? Our headquarter and R&D is located in Beer Sheva, Israel’s cyber valley. We reside in the gorgeous WeWork center. BTW – We are always on the lookout for bright developers and rising stars in the field. Take a look at our careers section or contact us at jobs@morphisec.com for further information. Do I need to reboot the computer to make Morphisec work? No, not at all. Isn’t that amazing! Just close your running applications, install Morphisec Protector™. That’s it, you are done! Your machine will be immediately protected and Protector, our prevention powerhouse, will conceal vulnerabilities in your applications, web browsers and OS’s and trap any attacks. I am a reporter and I want to interview you, who is your press representative? Please send Christine Castro, our Marketing Manager, a short email, and she will take it from there. HOW CAN I GET YOUR LOGO TO USE IN A MEDIA REPORT? Christine Castro, our Marketing Manager, is happy to send you our logo in a suitable format and help you with any other copyrighted images from our site. Please contact her via email. What is the performance overhead of your technology? Negligible, we like it slim and fast. The service is only briefly active during application load time. As a result, it has zero impact on performance. We want to keep your employees happy and productive. We secure their machines without disturbing their working environment. No updates, no reboots and no performance lags. What kind of forensic information can your product provide? Morphisec provides rich contextual information about the attack from its beginning, including its origin, its behavior, its effect on your machine, whether it is a 0-day or correlates with an unpatched vulnerability. I found a new unknown malicious document. Can you check it? Yes. You can contact us at info@morphisec.com and we will explain how to run our scanning service. What kind of research do you conduct? Do you change the operating system or applications binary? We do not change the operating system at all. We change how the application loads into the memory as it loads without affecting anything in the application. In what way is Morphisec different from ASLR? ASRL is quite limited in its approach and fairly easy for attackers to handle. At Morphisec, we view ASLR as the predecessor of a multi-variable, modern Moving Target Defense approach. 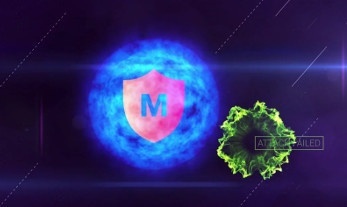 Morphisec Endpoint Security delivers protection that overcomes the limitations of ASRL. In addition, our solution offers a full management system, and is able to provide rich forensic information and intelligent classification and fingerprinting of attacks for actionable remediation directives. Read more about ASLR in our factsheet: ASLR – What it is and what it isn’t. Do you need the source code of an application in order to protect it? Do you support legacy applications on Windows XP? Our technology can protect applications running on Windows XP. Please contact us at info@morphisec.com for additional information.